i just love this little boy and trying to soak up and remember everything about him right now. there are things to love (and dislike, ha!) about each stage they go through. and this one is one of my favorites. just their lightbulbs coming on and really learning and discovering so many new things each day. they think they are so big and can do it all and they're just so sweet. -he's starting to really get into letting me read to him. i even found him in his room one day amongst a pile of books he pulled down from his shelf. his favorite book right now is 8 Little Monkeys. he'll sit in my lap as i read…and then turn his head and look up at me just smiling when i say the part, "no more monkeys jumping on the bed!" -he likes to growl for some reason. if we say, "hey nolan…what does a tiger say? "….he growls. "Yaaay!" we say. "hey nolan," we continue, "what does a lion say? "….he growls. if we help him climb up onto the couch…he growls? and pretty much anytime he sees a real animal, or a picture of an animal…..any animal…even a fish.…he growls. car, go, here, no! (this is his favorite word, and I am quickly learning that it must be mine, as he begins saying "Nah! Nah! Nah!" loudly and repetitively after hearing me say it. 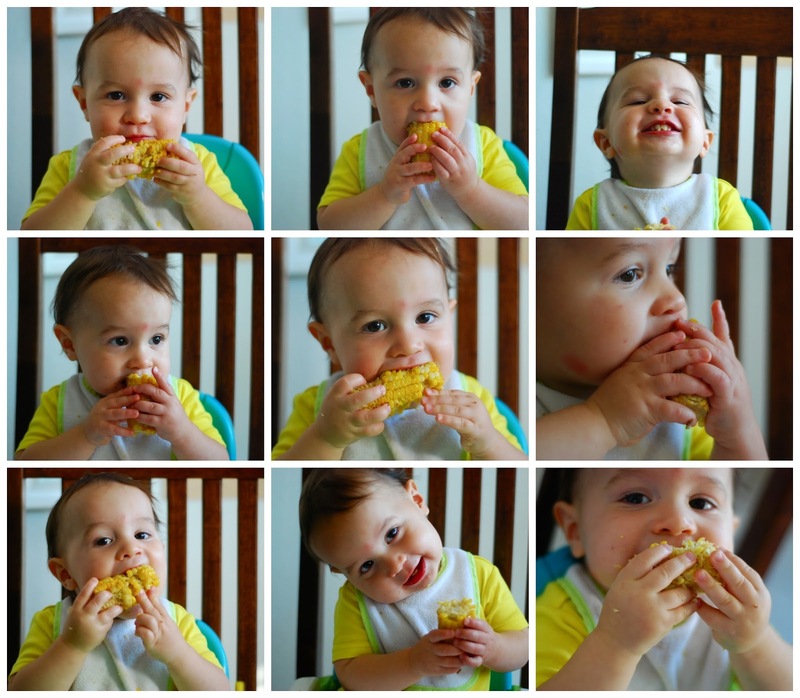 never mind…his favorite word is "momma". ;) he's been able to say 'momma' for a while, but now he uses it when he's trying to find me or wants me. -he drinks milk for breakfast, lunch, and when he wakes up from afternoon nap. -he loves, loves, loves to throw things in the trash. after he's finished drinking a 'drinky yogurt', as we call it, he will go and throw it in the trash. 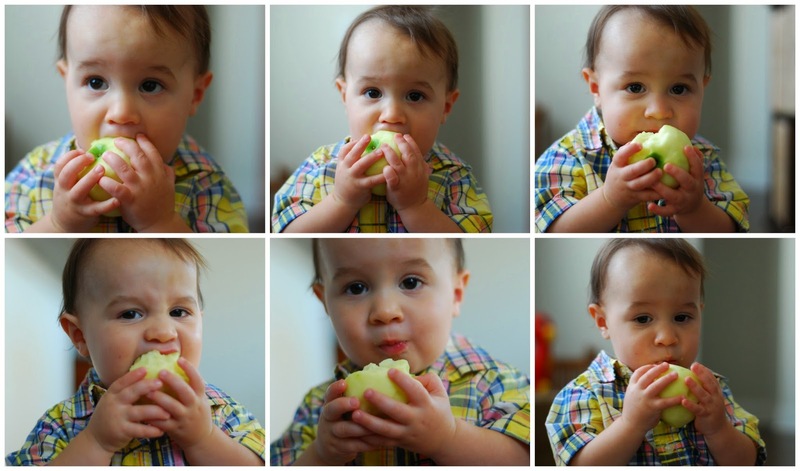 it's really cute…except when he throws away something that's not supposed to. 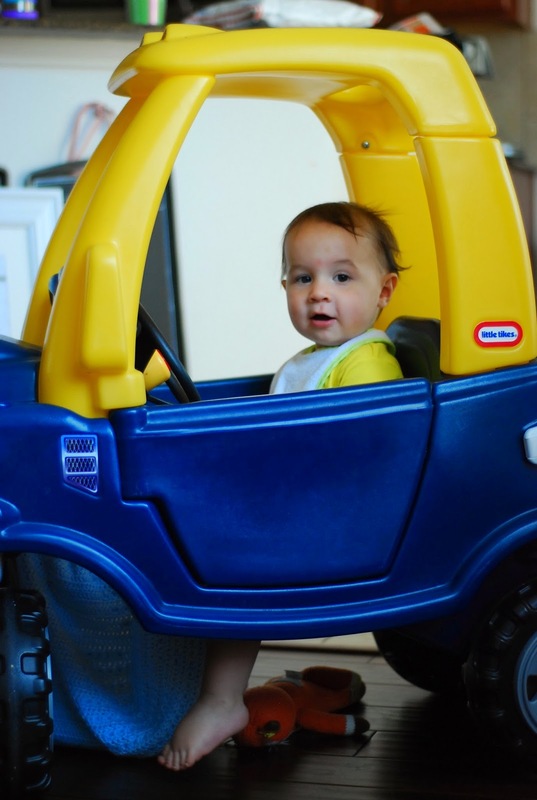 -one of my favorite things is….literally, hearing the pitter-patter of his little feet on the floor. 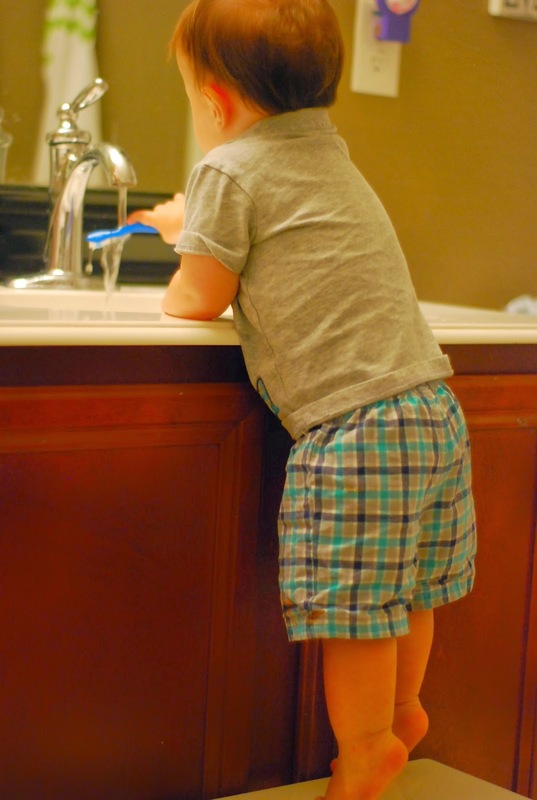 when parker was this age we lived in a house with tile…and for some reason i just don't remember the pitter-patter. and when grace was this age, we did live here, but we had carpet. but i hope i'll always remember this. 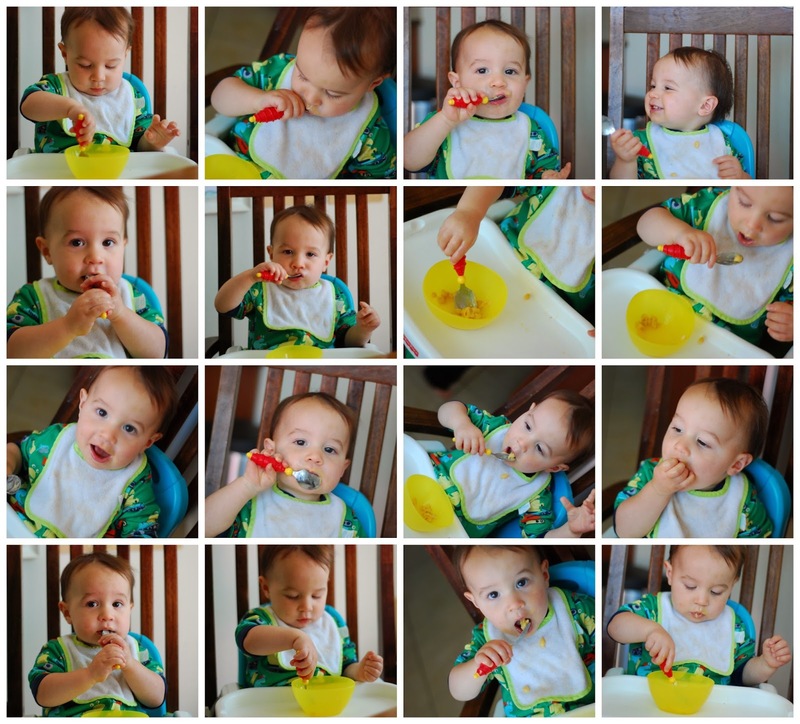 -he's recently (just this week)…found a love of feeding himself with the fork and/or spoon. also- pretty much anything he can feed himself that's not cut into little bites, he loves. i guess it makes him feel older? 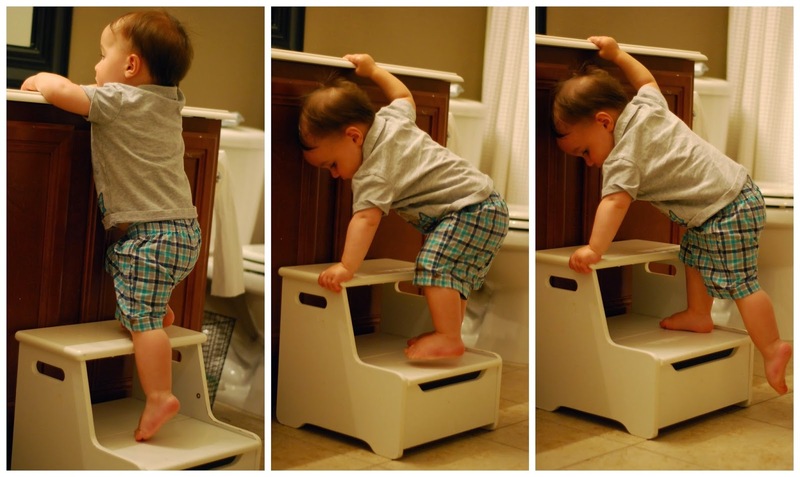 :) and he looks so darn cute doing it, too! 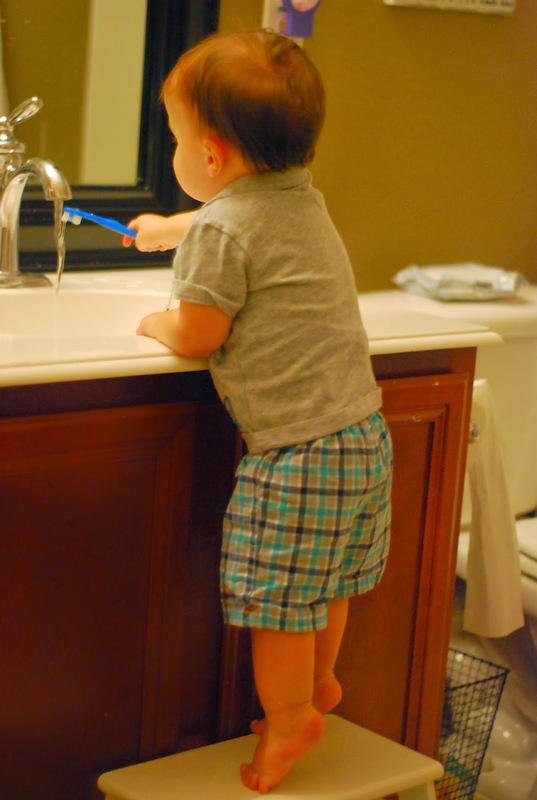 -and also….he loves to brush his own teeth. and it's the cutest! One of the happiest, sweetest little boys I've ever seen! Makes me smile so much!